BrÃ¼tal Legend designer Tim Schafer has commented on the removal of Ronnie James Dio from the game's cast and unfortunately, there's no rock-n-roll drama to be found anywhere. 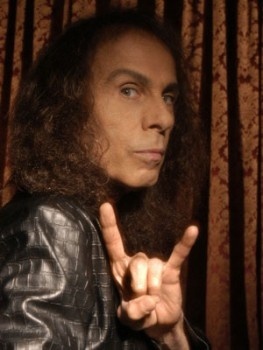 It was revealed yesterday that Dio's voice work had been cut from the upcoming heavy metal action game and while no reason was given, speculation immediately focused on the singer's ongoing personality clash with Ozzy Osbourne, an even more legendary if somewhat less talented metal icon who also appears in the game. The actual reason, however, is far less interesting. "Ronnie James Dio is an amazing singer and truly one of the great figures of Metal, but as the character of Doviculus evolved, we realized that Tim Curry was a better fit for the part," BrÃ¼tal Legend designer Tim Schafer said in a statement. "Anyone who has seen his amazing performance as the Lord of Darkness in the movie Legend knows why we cast him in the role of Doviculus, Emperor of the Tainted Coil." Not nearly as entertaining as Sharon Osbourne messing with Iron Maiden at Ozzfest, perhaps, but perfectly reasonable. Characters evolve over the course of a game's development and it's not surprising that voice actors would now and then change as a part of that process. The loss of Ronnie James is unfortunate for a game that promises to be an all-out celebration of the metal mystique, but on the bright side, it's hard to imagine the addition of Tim Curry to the game as anything but pretty damn cool.